In 1888, George W. Vanderbilt arrived in Asheville, purchased land, and began planning the estate that would become his home—Biltmore. As construction of America&apos;s largest home neared completion and hundreds of domestic servants, gardeners and other workers were hired, Mr. Vanderbilt&apos;s architects and designers turned their sights toward the village at the entryway to the estate that would serve the new work force. As the 20th century dawned, the village saw many changes, including the opening of All Souls Church, introduction of one of the nation&apos;s first electric street railways, opening of a school attended by estate workers&apos; children as well as the Vanderbilts&apos; own daughter, Cornelia, and completion of several cottages and a post office. In 1910, builders constructed a shopping center that offered all of the basic needs, including a grocery store and produce market, hardware store, café and drug store. Today&apos;s Biltmore Village owes its iconic architecture and picturesque, tree-lined streets to some noted experts. Richard Morris Hunt, lead architect on the Biltmore project, and landscape architect Frederick Law Olmsted, of New York’s Central Park fame, both left their marks. However, Richard Sharp Smith, who took over after Hunt&apos;s death in 1895, is often credited with the area&apos;s design, which features brick, pebbledash stucco, and prominent wood timbers. 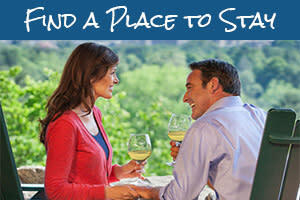 Visitors can learn more about the history of Biltmore Village first-hand with a walking tour offered by History@Hand. 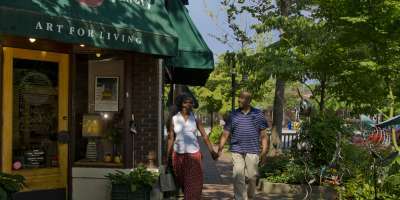 Today, Biltmore Village is a destination for treasure hunters seeking unique finds among the many fine art galleries, antique emporiums and boutiques that occupy some of the original turn-of-the-century cottages. Whether you&apos;re searching for fashionable apparel, a specialty gift, or something unique for your home, the national brand stores and one-of-a-kind shops offer a wide variety of well-crafted items. Art and craft galleries offer regional, national and international creations, including traditional and innovative handmade Southern Appalachian crafts. Specialty shops include an olive oil tasting room, Christmas shop, toy store and gardening shop. 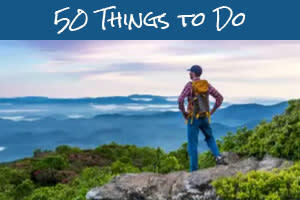 An outfitter and a nature emporium offer all you might need for an outdoor adventure. Salons and spas provide a respite for those who seek renewal or, perhaps, a makeover. And don&apos;t worry about going hungry! Biltmore Village is home to eateries offering breakfast, lunch and dinner, in addition to tasty snacks and drinks. 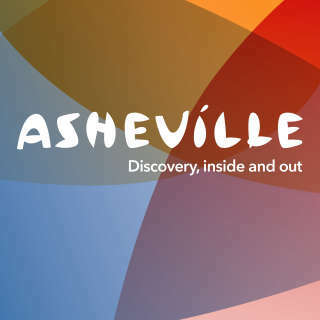 Two of Asheville&apos;s nearly 20 craft breweries have locations in the village, and dining experiences range from casual barbecue and wings to date-night steakhouse and epicurean explorations. Of course, Biltmore Village lies right at the entrance to the Biltmore Estate, which offers gardens, shopping, dining, and America&apos;s Most Visited Winery, in addition to the 250-room Vanderbilt home. Upon your return to the Village after a day of exploring the Estate, you will find a variety of lodging options, from luxury boutique inns to B&Bs and your favorite brand hotels. Held on the first full weekend of August, the annual Village Art & Craft Fair has been bringing high-quality handmade crafts to Biltmore Village for more than 40 years. Founded by the owner of Biltmore Village’s New Morning Gallery in 1972, the festival regularly brings more than 100 artists from across the U.S. to the grounds of the Cathedral of All Souls. Visitors can meet artists in person as they discover new treasures. During the winter holiday season, Biltmore Village plays host to the Dickens Festival, which features musicians, choral groups, dancers and actors stationed throughout the village in Victorian dress. Village buildings are decorated with more than 250,000 Christmas lights and shops stay open late to welcome visitors. Look for this merry holiday festival, which has run for more than 25 years, during the first weekend in December.